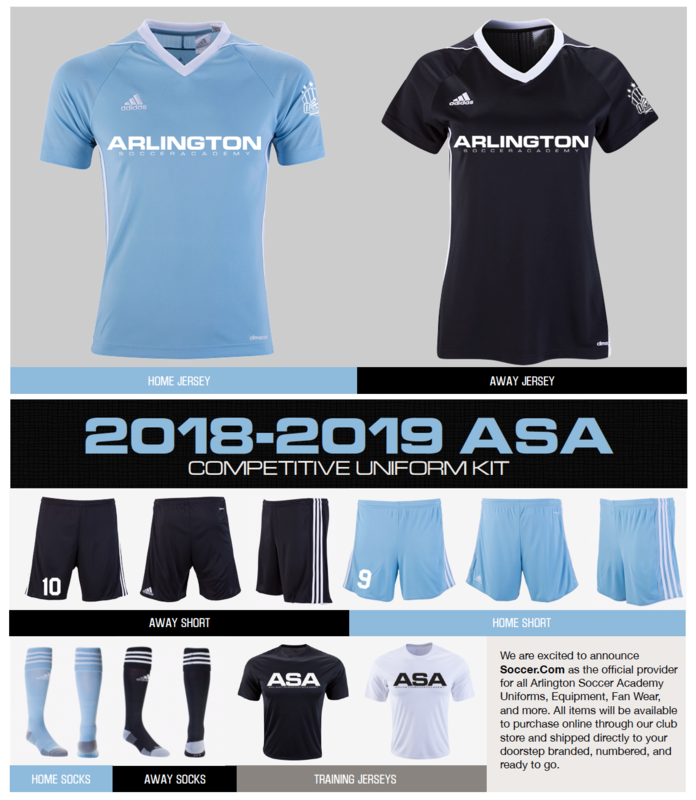 We are excited to announce Soccer.Com as the official provider for all Arlington Soccer Academy Uniforms, Equipment, Fan Wear, and more. All items will be available to purchase online through our club store and shipped directly to your doorstep branded, numbered, and ready to go. Once selected to a team, the Club Store will be available to you to begin ordering.